Realised I should've posted this a while ago, but I didn't have the time and was away last week. Anyways, here's a video compilation of Spencer and me's trip in the San Juans back in January, on the Sealth and the Hiyu. Most of us in the islands are concerned about the ongoing problems with the Sealth, one of our three mainland ferries, which is undergoing lengthy repairs in Anacortes. Understandably, cancellations and late sailings have given rise to a great deal of frustration. 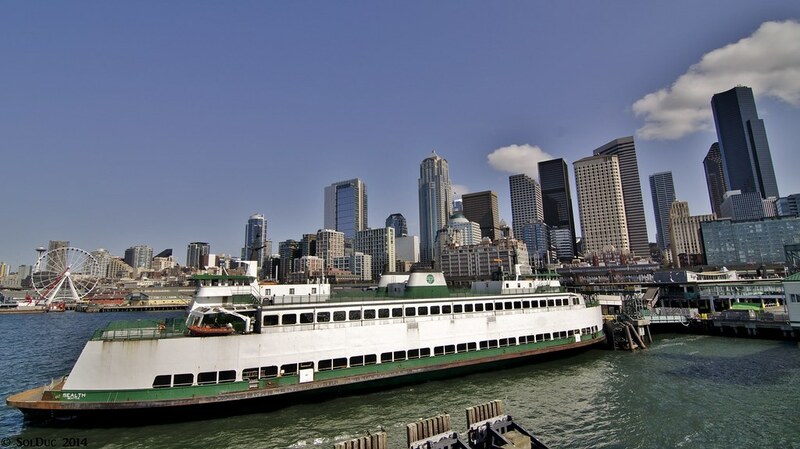 There is a tendency to blame Washington State Ferries for not solving the problems quicker, or at least providing another boat that could substitute for the Sealth in the meantime. 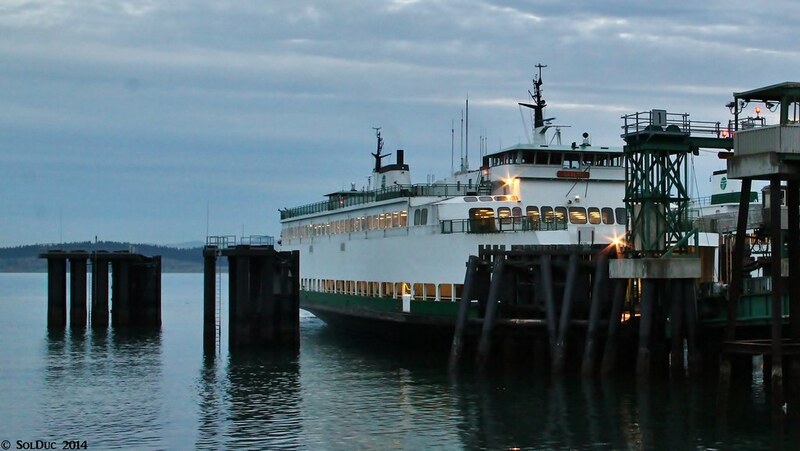 Each time Washington State Ferries visits the islands for their semiannual public meetings, we've heard David Moseley (Assistant Secretary and head of ferries) repeat the concern that ferries is not financially sustainable. What we may not have understood, until now, is that he was talking about exactly the situation we find ourselves in, with one boat out of service and no adequate replacements available. FAC and ferries are very aware of the frustration stemming from the Sealth issue. We’ve been in contact with George Capacci (Deputy Chief and head of operations and capital) almost daily. Ferries is doing everything possible, the problem is that there aren't a lot of options. We can rant all we want but that doesn't get the boat fixed, nor get us a replacement that can keep up with the schedule. 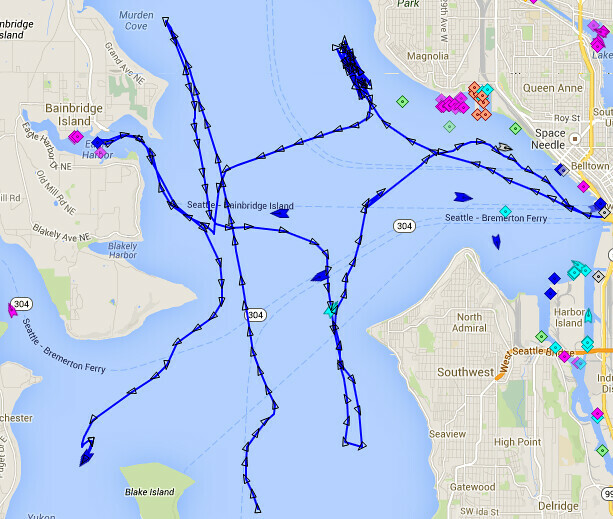 The problem with the Sealth is a very infrequent steering failure at one end of the vessel. Tracking down the cause and fixing it has turned into a colossally frustrating exercise. The engineers and contractors have replaced all of the hydraulics and thought the problem was fixed, only to find that it failed once again during or after sea trials. They are now going through the electrical control system, part by part, testing and replacing. No one knows how long this will last. It is important to understand that Ferries has only one spare boat, the 34-car Hiyu. It was brought up to replace the Evergreen State, which in turn has replaced the Sealth. So we have the full vessel complement for the current schedule, just smaller vessels and in one case slower. But that's a whole lot better than being short a boat. The bulletins regarding reduced speed and delays have hopefully provided the opportunity to make adjustments. That was one thing we stressed to ferries: Keep folks informed. Until the legislature is willing to establish sustainable operational and capital funding for ferries, this is likely to be a more frequent occurrence. David Moseley's comments on funding are not empty words: The funds that the legislature has allocated since 2000 (when dedicated MVET ferry funds were lost) are not adequate to operate the system on an ongoing basis. Operating funds have to be "borrowed" from other WSDOT accounts, new boats are delayed, major maintenance is put off, and vessel life is stretched to 60 years (while no other similar system goes past 30 or 40 years). Kicking the can down the road is not sustainable funding. Frustration is understandable, but what is needed is feedback towards the legislature. A comprehensive transportation package is needed, but off the table for now. Our Representative Jeff Morris has introduced a bill to fund a third new 144-car "Olympic Class" ferry (HB1129), if this can be passed it will have a direct benefit to our routes. The bill has passed the house and is pending before the Senate Transportation Committee. Our Senator Kevin Ranker supports this bill, urge him to help find votes. Talk to your friends across the mountains, ask then to press their senators to support ferries. We are all one state, and our ferries are not that much different than their rural highways, they all need public funding. Oh yuck. Testing that type of complex system failure is an absolute PIA. Per the schedule there are a lot of boats switching out this week and next between in service and EH or in the yard and EH. Spokane, Walla Walla, Hyak, Elwha, Kitsap, Cathlamet and Chetzemoka are all on the move in one form or another. Perhaps one boat can safely forgo it's time at EH and journey north to supplement Hiyu and Evergreen State. Maybe Chetzemoka freeing up Salish. Yeah, that sure sounds like something that's really frustrating to fix. Hopefully they will find the root cause of this problem and fix it soon. Get well soon, Sealth! Salish won't do us a lick of good up here. It's a lousy configuration for the inter-island, and it's smaller than the Evergreen. Besides, since the engineers sweetened up the Evergreen's engines a little, she's not doing too badly on schedule. Good thing the Yakima is available to take the afternoon shift, though. Sealth will be going into drydock and Chelan will be coming back to the islands on March 4th, which means Evergreen can go back to the inter-island circuit, and Hiyu goes back to Eagle Harbor. 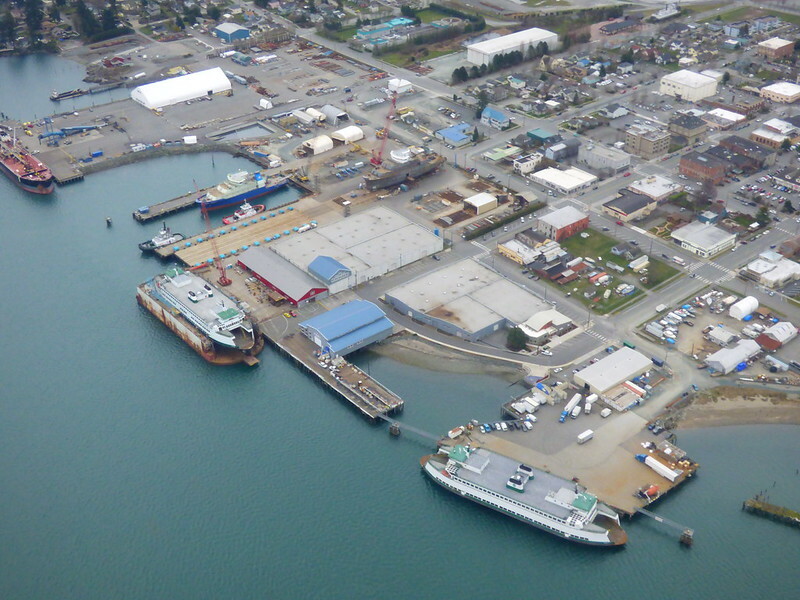 ANACORTES – The 90-vehicle, 1,200-passenger Sealth will be lifted out of the water and onto dry-dock at Dakota Creek Industries in Anacortes on Monday, March 3, to investigate issues found during sea trials and diver inspection. 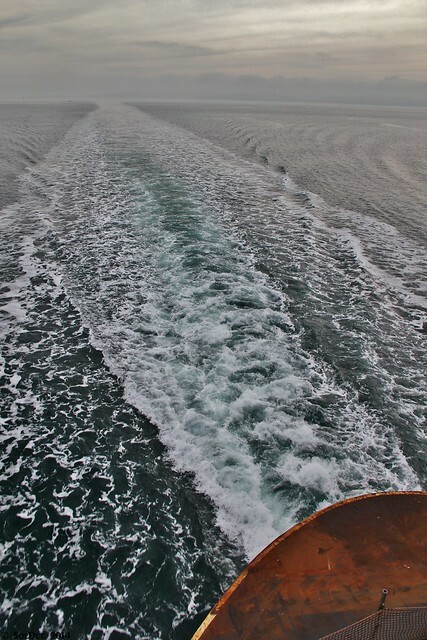 The Sealth was removed from service on the San Juan Islands/Anacortes route on Wednesday, Feb. 12, due to mechanical issues. Crews have made several repairs to the steering system, but have been unable to return the vessel to service. 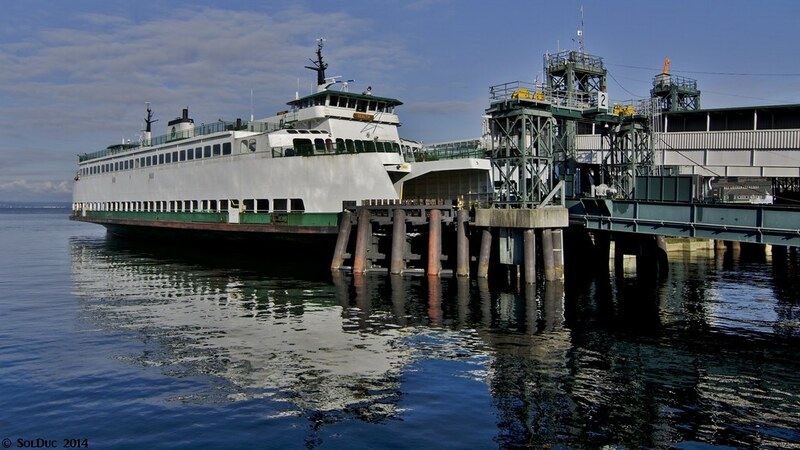 Washington State Ferries expects to re-instate the Sealth, following dry-dock inspection and necessary repairs. 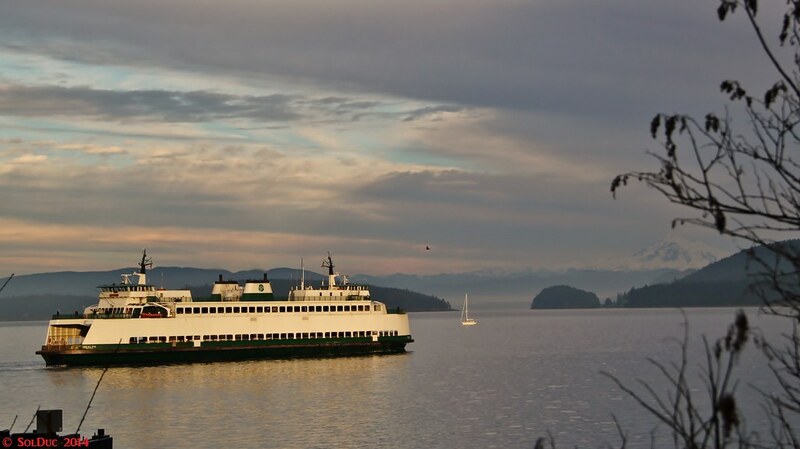 WSF has temporarily replaced the Sealth with the 87-car, 983-passenger Evergreen State. The system’s only back-up vessel, 34-car, 200-passenger Hiyu is filling in on the inter-island route. 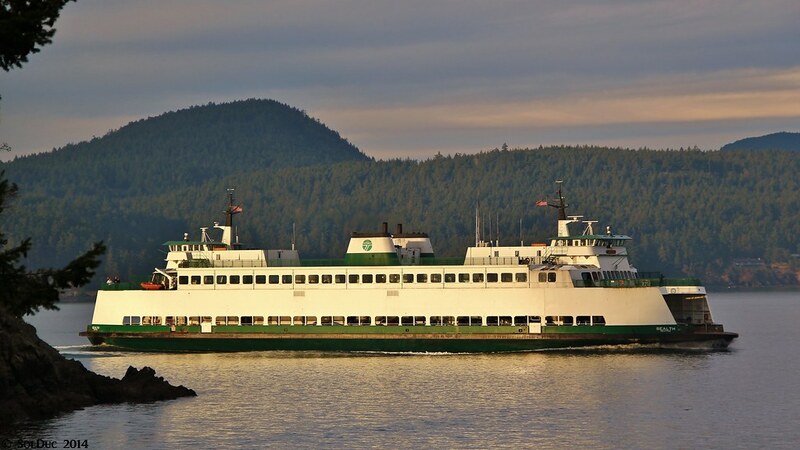 WSF is in the process of moving other boats within the system and anticipates that the San Juan Islands/Anacortes route will be back to full service on Tuesday, March 4, with the 124-car, 1,090-passenger Chelan operating on domestic routes and the Evergreen State returning to the inter-island route. Enjoy. 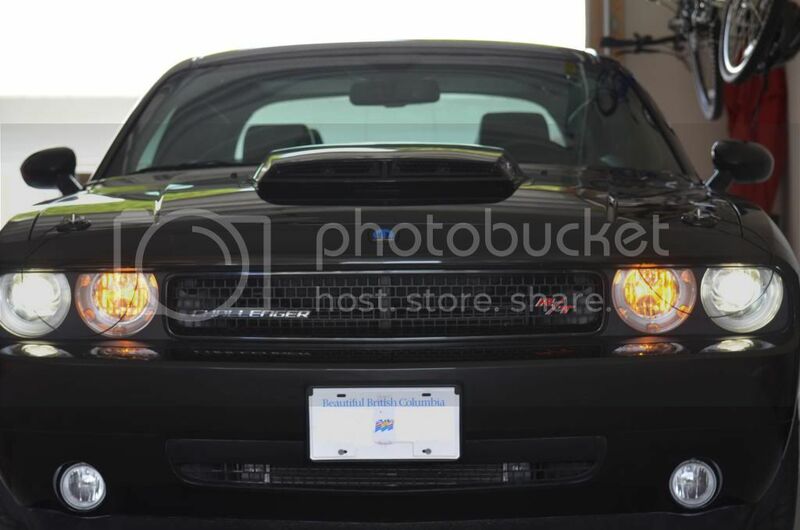 If you click on the thumbnail, you can see full size on my Flickr page. Curious if they are any closer to figuring out the rudder issue. The Sealth was at Colman Dock yesterday. She was there on Friday, one of my friend's who commutes to Seattle every weekday and there was a photo of the Sealth in Slip 2. LOL I think that's the first time I've seen the Kitsap *that far* north! It can stay up there as far as I'm concerned! She's still sitting quietly at Colman Dock this morning... According to the vessel maintenance schedule she's supposed to go up to the San Juans sometime this week. WSF alert from today confirms that no ferry will come to the rescue in the San Juans until at least Friday Morning (most likely due to the Walla Walla's issues as well). The 87-car Evergreen State will continue to sail in the #3 sailing position through approximately Thursday, March 20. The 34-car Hiyu will operate as the interisland vessel during this time. There is no passenger elevator on the Hiyu, but there is a portable restroom on the car deck. Because the E-State is slower than the schedule allows, the 9:25 am sailing from Anacortes to Lopez and the 10:20 am sailing from Lopez to Anacortes will be cancelled through Thursday in order to reset the schedule. 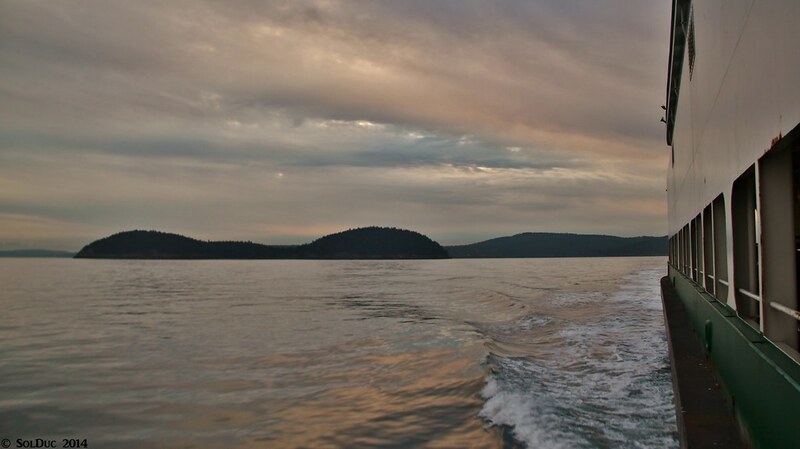 The Hyak’s 10:30 am eastbound sailing from Friday Harbor will make an unscheduled stop at Lopez Island at approximately 11:05 am. By mid-afternoon, the 144-car Yakima will replace the E-State, making the 2:10 pm sailing from Anacortes to Friday Harbor, the 5:20 pm sailing from Anacortes to Lopez and the 7:10 pm sailing from Anacortes to Shaw and Orcas. Some pictures of the Sealth at Colman Dock awaiting repairs, Sunday March 23rd. I was told that some of her problems might be due to her computer system. Afterall she's a citrus class boat! 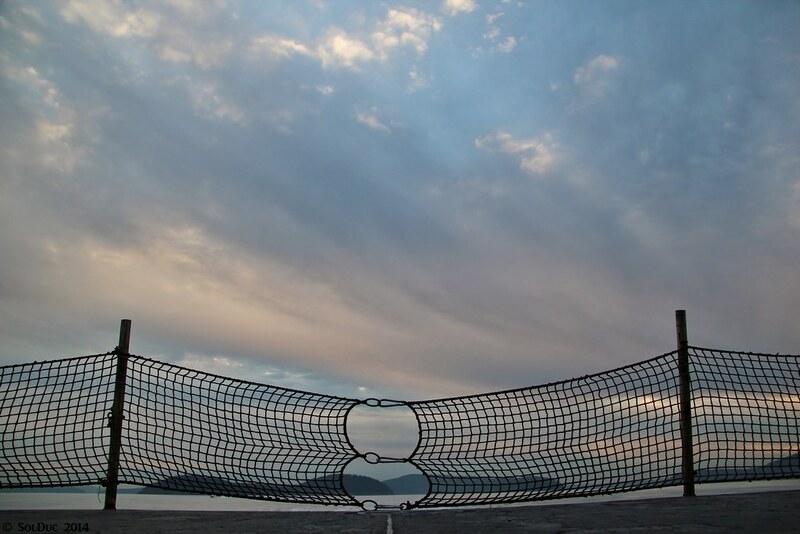 Just because I have a wide, wide, wide angle lens. From the Walla Walla. True enough, but those computers have been gone for decades. These are whole new computers, and theoretically, new problems. The Sealth was at Colman dock this morning then bugged out and has been running around doing rudder tests all day. You can see her rather amusing path in the following screen from marinetraffic. It's harder to do than you might think. Nobody's ever come up with a convincing way to dot the "i" that I'm aware of, short of turning off the beacon (which is regarded as cheating). M/V Sealth preparing to head to Southworth on the 5:40 AM trip from Vashon. The Sealth briefly became WSF high capacity ferry. Carry 90 cars, and 1200 passengers, all while pulling a Jumbo MKII. Here is my tour of the Sealth that I managed to get within the extremely short crossing between Vashon and Southworth. Looks like the Sealth may be replacing the Tillikum as a regular vessel on the Vashon route in November, according to the most recent maintenance schedule. The Sealth did a while back! It just got stolen to the Bremerton run when the Kitsap got sent north to replace the Elwha. Here is my newest video comparing the Ship's whistle and Range whistle on the Sealth. Enjoy! What is the Range Whistle and what is the Ship Whistle? I think one is used for emergency.